Using the very latest state-of-the-art diagnostic technology and addition of an experienced Nissan technician with over 27 years under his belt, we are able to locate any faults on a vast array of on-board systems on most Nissan vehicles. This combination of equipment and expertise removes the element of trial-and-error, reducing diagnosis time and the fitment of unnecessary components, meaning that we are always working at optimum efficiency when it comes to your Nissan. An initial labour charge will be agreed prior to any diagnosis, prices vary depending on the fault. 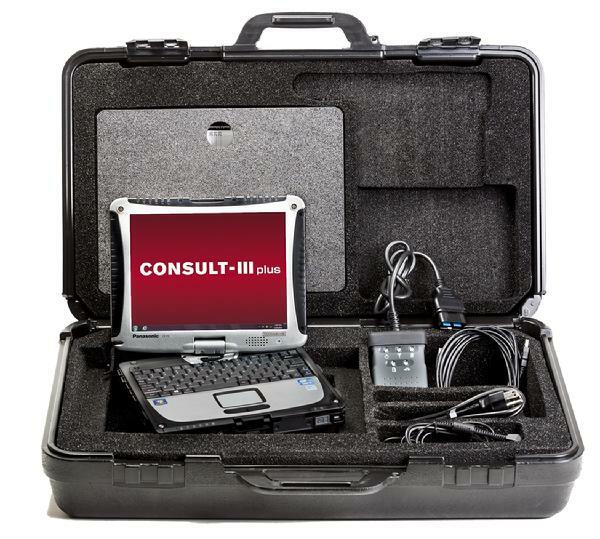 Our workshop is equipped with the latest Nissan Consult III + diagnostic machine which diagnoses all Nissan models. With over 27 years years worth of experience, we can always ensure an accurate diagnosis. Asking the right questions from the off removes the element of trial and error, reducing diagnosis time and the fitment of unnecessary components. An initial labour charge will be agreed prior to any diagnosis, prices vary depending on the fault.